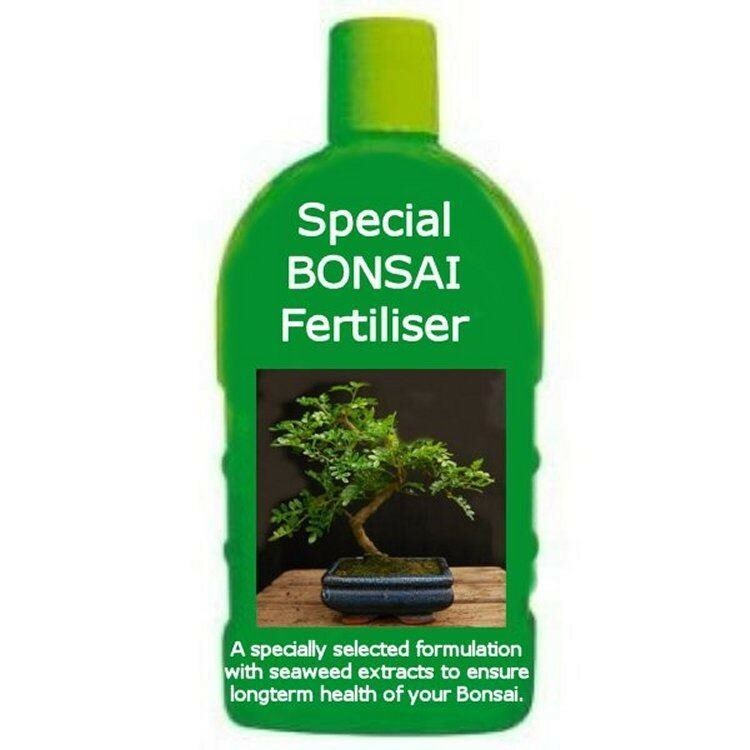 Large 500ml bottle of Bonsai Feed. Specially formulated to keep your bonsai in the peak of health. Bonsai plants have a very small amount of soil to grow in. For this reason it is important to feed them regularly and precisely. It is vital to maintain the health and fertility of the soil for the long term success of the plant. Our Bonsai Feed has been specially selected as a precisely targeted nutritional formulation enriched with essential plant nutrients, as well as seaweed, to maintain peak fertility in the soil. Simply mix a small amount of this special concentrate with water, and use throughout the growing season.